One of the biggest up and coming stars in entertainment, Wian van den Berg has already performed all over the world at just 21 years old. 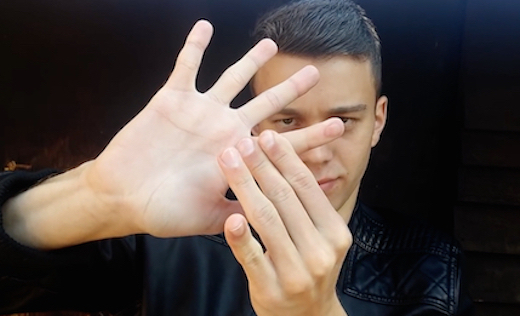 As a finalist on SA's Got Talent, many consider him the country's best sleight of hand magician, and after featuring on America's Got Talent, he now has a large international following. We managed to pin down one of SA's busiest young magicians to answer a few questions. Gigster Online (GO): What can you share with us about yourself that most of your fans/followers don't already know? Wian van der Berg (WV): "People are more impressed when I tell them I'm from a small town called Frankfort than they are when seeing a trick. I never had anyone who can teach the tricks to me so I had to try to figure them out. Also, I can speak Spanish, Chinese and French :)"
GO: At what age did your passion for magic start and what was the trigger? WV: "I was 14 years old when I saw a magician on TV on the Ellen DeGeneres show and I just had to know how it was done! That is how I started." GO: Who are your biggest inspirations? WV: "Pretty much EVERY big-name magician ever. David Blaine, Dynamo, David Copperfield..."
GO: Where/how did you learn the art of magic? WV: "I watched on TV and tried to figure out how the tricks were done. That's it. Haha"
GO: What prompted you to enter SA's Got Talent and what do you take away from the competition? WV: "I loved watching the magicians on the Got Talent shows and thought, that would be awesome! It is something that has changed my life. A crowd screaming because of me! Being on TV, people asking for photos on the street and just everything! I'm truly grateful for that. " GO: What are the highlights of your career so far? WV: "Performing for millions on TV and I'm so grateful to make a living doing what I love. I never thought it would go this far. People asking for pictures on the street, people recognizing me from TV, performing for new people every week! Honestly those are the highlights!" GO: If not for magic, what other passions would you be pursuing now? WV: "I had no back up plan. Probably a terrible idea, but I wanted this so bad and I'm glad it happened to work out :)"
GO: What other interests/hobbies do you have besides magic? WV: "I love art, drawing and painting. I also like to learn languages. I love sports like Rugby and Cricket and if you've ever played it, ping pong is so much fun!" GO: When did you join Gigster? GO: How has Gigster made a difference to your career? WV: "Gigster has changed everything. It has taken magic from a dream to a job and I am so grateful for everything Gigster's done for me." GO: Where to from here? WV: "My dream is to become a big name around the world. I also want to see as many places and countries as possible and do shows all around the world." With Wian's busy schedule and regular TV appearances, we're sure he will soon be a household name (like the big-name magicians who inspire him) both locally and internationally. BOOK WIAN HERE!